We ship herbal extracts worldwide. Domestic shipping usually takes 3-5 days. Free domestic shipping herbal liquid extracts. We ship all orders from Hawaii, USA with USPS (United States Postal Service). We ship usually the same or next business day. Domestic delivery usually takes 3-5 business days. We ship worldwide excluding the following countries: North Korea, Afghanistan, Morocco, Iran, Irak, Sudan, Cuba, Syria, Uganda, Morocco, Nigeria, Japan. Orders are processed for shipment during normal business hours only (Mon - Fri, excluding Holidays). Customers are responsible for all additional shipping costs that may occur from an incorrect address or refused shipment. USPS does NOT deliver on Sundays or Federal Holidays. Hawaii Pharm is not responsible for packages held by Customs. 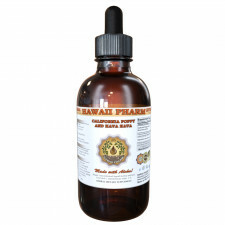 Hawaii Pharm does not pay for international duty, Customs clearance, brokerage fees or taxes. The customer is responsible for any such charges. There are no guarantees about the terms of delivery. All orders are processed securely and discreetly by a Hawaii Pharm representatives. 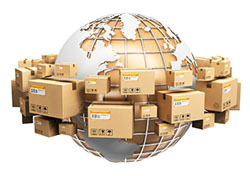 Providing correct contact, billing and shipping information will ensure a smooth transaction. Any information that is missing may delay the order until all information is collected and processed. All orders will be wrapped in secure unmarked containers. There are no visible markings that indicate the content of the parcels. We offer free shipping on all orders placed in the continental U.S. Hawaii and Alaska on orders that exceed $35.00. Free Shipping option is not available for international addresses. If for any reason you are not completely satisfied with your purchase, you may return any item in its original condition within 30 days of receipt and we will gladly provide a refund, replacement, or an exchange. We will gladly accept returns caused by our error. Please notify us within 5 days of receipt of goods. Opened products for the health, medical and safety reasons cannot be returned, restocked and refunded. We accept return only if bottle is not opened and shrink-band seal is not broken. Shipping costs are non-refundable so real cost of shipping will be deducted from the refund amount even if you got free shipping as promotion when you placed an order. Please report shortages within 5 days of receipt of goods. Please report damaged goods immediately and save the original packaging in the event that a claim is filed. Please take some pictures of damaged box and products. Once the order is placed you may cancel it within 24 hours after the payment, but the order cannot be cancelled once it's processed and the status is changed to "shipped". If you want a refund for your order after it's been processed - you may refuse the package upon arrival or return it and we will issue a refund once the pacakge is returned to us. Cancelled orders can be subjected to a 20% restock fee. We spend our time and resources to process your orders: using packing materials, purchasing shipping labels, and labor, and restocking fee is a compensation for the work that's already done to process your order.